If you Google the word “ombre” you’ll find a lot of information on celebrity hair styles. That’s not exactly what I was looking for. So I researched a little further. The best definition of the word that I found was from Fire Mountain Gems, “Ombré (from the French world “ombrer” meaning to shade) is a dip-dye technique used on fabric where the color is graduated from light to dark.” The term is also used to refer to design color in general, not necessarily limited to fabric. It was popular a few years ago, but I have found that it’s a trend that is back, as it is popping up everywhere. Lately, I’ve noticed it online, in magazines, and on television. I wanted to make some new DIY heart wall art for Valentine’s Day this year. I need some new home décor accents for my living room bookshelves and this was perfect. 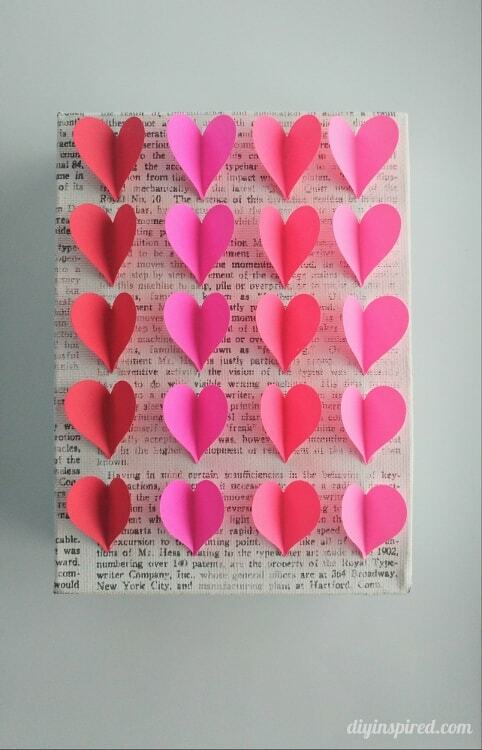 I raided my craft room and whipped up this cute ombre paper heart wall heart on newspaper printed canvas. Here is how I made it. I found this newsprint canvas at Michael’s Craft Stores in their Make Market section. I actually got this one in a $2 grab bag… score! I had been saving it for the perfect craft. If you can’t find it, you can wrap a plain white canvas with newspaper. Next I folded each heart in half. I laid them all on the canvas to space them out properly. Lastly, I used hot glue on each fold and glued them down. 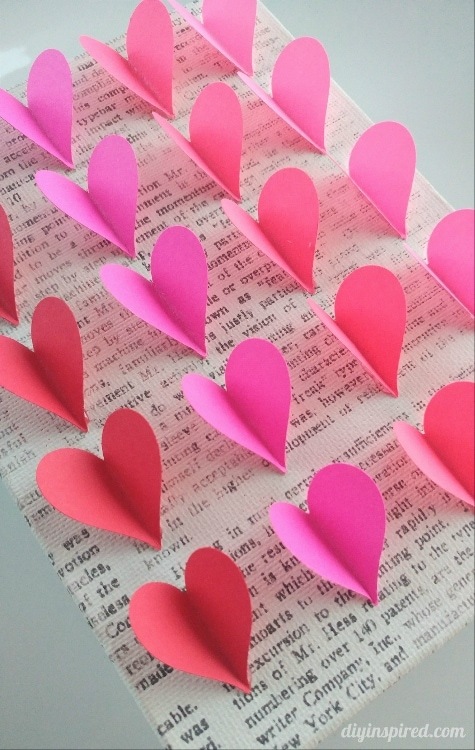 You can play around with the canvas size and heart size as well as the color of the hearts to fit your style and décor. 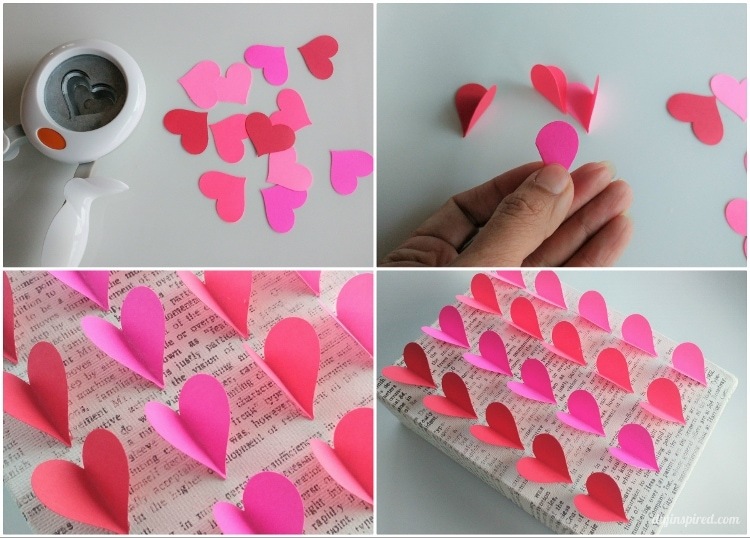 This makes a cute Valentine’s Day gift or simply a fun paper craft for adults or kids.